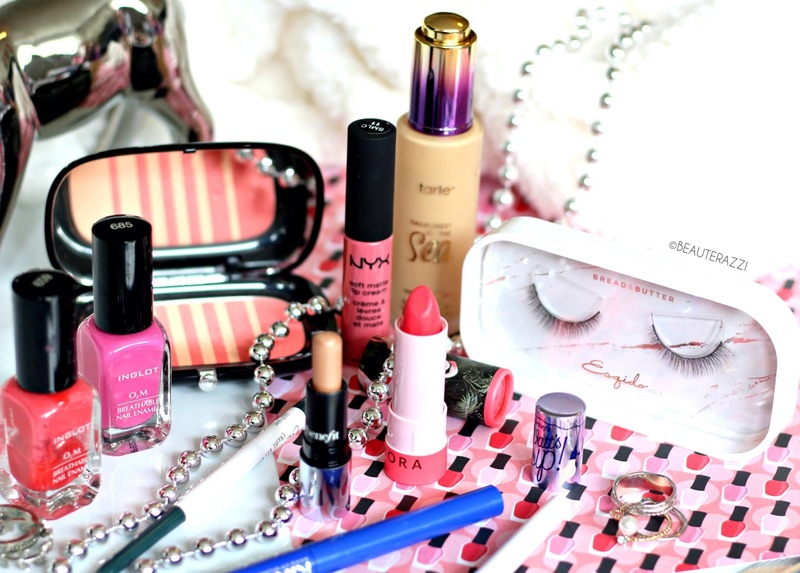 Two things that pop in my mind when I think of Spring are flowers and bright makeup. Not that I am going to go out looking like a rainbow, lol, but pops of brights here and there, from glossy pink toes to coral lips, love them. 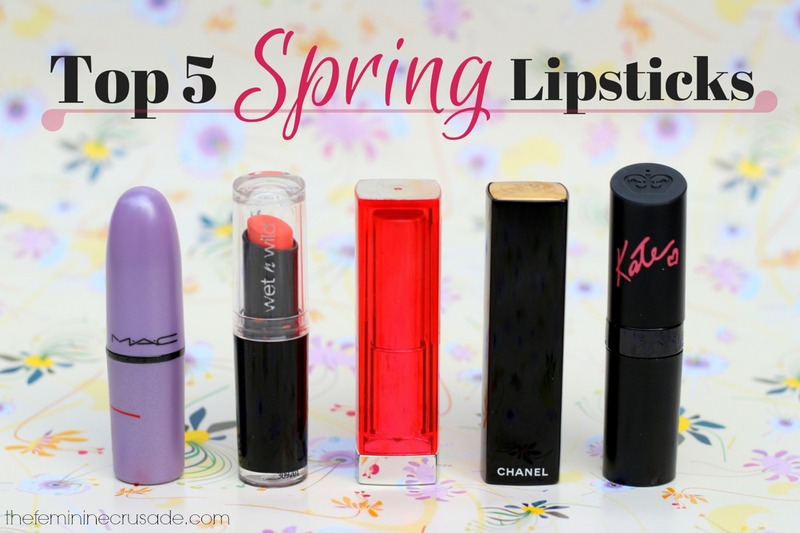 We will talk about nails in some other post, but today, I have for you my 5 favourite Spring lipsticks that I am going to be wearing most this season. This one is like a blinking neon sign, in-your-face kinda bright. When you wear it, that's all the other is person going to see in your face, which is why I don't wear it all the time. Nonetheless, it is a GORGEOUS shade which I love sporting often in Spring/Summer. The only orange in my top 5, 24 Carrot Gold is a peach-ish orange, which is immensely pigmented and has a semi-matte finish. 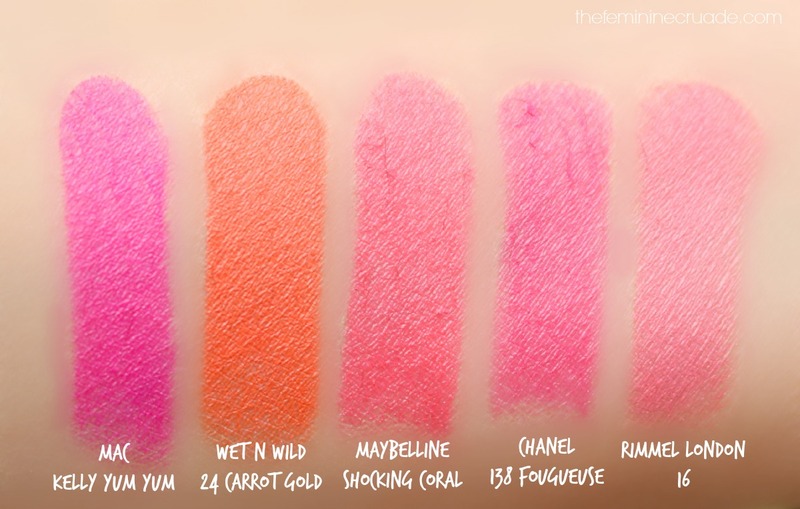 And you know the rest, all Wet N Wild lipsticks are loveee! I don't wear too much oranges, pinks flatter me more, still 24 Carrot Gold is my favourite when I want to step out of my comfort zone. Jeez! I don't even know where to begin to express my obsession with this lipstick. Whoever owns this must know, this is one of the most beautiful pink-corals. PERFECTION! It is bright yet wearable, lasts long, insanely pigmented and looks oh-so-gorgeous. One of my favourite lipsticks ever! From the shade to the formula, Chanel definitely knows how to woo our hearts. 138 Fougueuse is a bright medium pink, which is hydrating, long-lasting, pigmented and gives full coverage with a satin finish. The most wearable of the bunch, perfect for everyday use, Shade 16 is a soft coral pink which is very feminine and flattering. 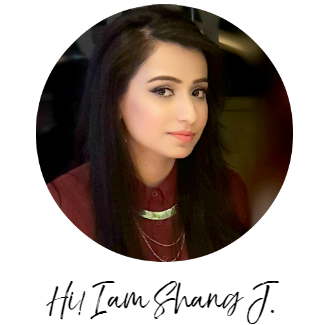 Every now and then, when I get tired of all the super brights and want something which is light yet has a pop of color in it, Rimmel London 16 is what I go for. 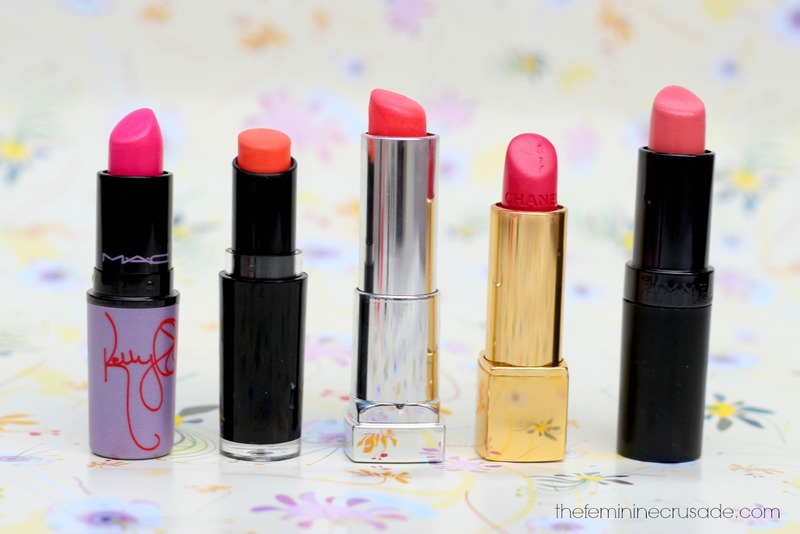 Which lipsticks do you love wearing in Spring?